The Stroke Blog: We Want to Go with Oh to London! What an exciting time to visit London, hot on the heels of the summer Olympics! There is so much to eat, see, and do in London it can make your head swim. Afternoon tea, fish and chips, Indian curries, the British Museum, the changing of the guard, the Victoria & Albert, double-decker buses, Buckingham Palace, Hyde Park, crossing Tower Bridge, admiring the skyline from the London Eye, strolling along the Mall...throw in the 2012 Olympics and the possibilities are seemingly endless. But in London we are choosing the path less traveled. When we Go with Oh to London it will be all about walking in the footsteps of ancient Romans, wizards, Olympians, farmers, gardeners, and treasure hunters. And we want you to follow along. 1. 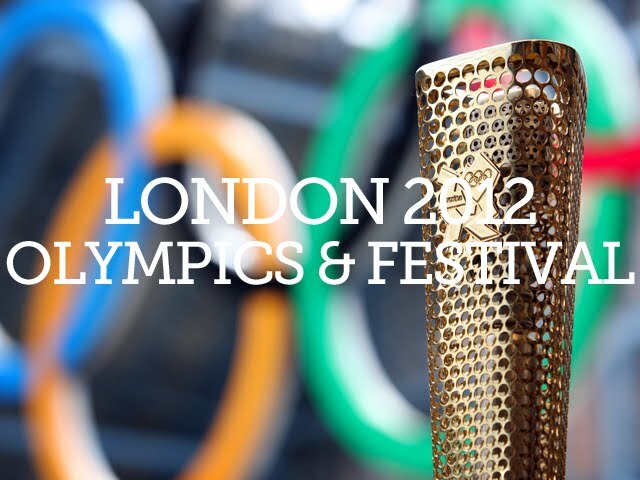 CATCH THE OLYMPIC SPIRIT AT THE LONDON 2012 FESTIVAL. While the Games end in August, the London 2012 Festival (part of the Cultural Olympiad) continues through to September, with over 1,000 public performances and events. We're interested in catching a survey of Damien Hirst's work at the Tate Modern (it includes his installation In and Out of Love - a room full of live butterflies! ), seeing an exhibition of portraits of the diverse people behind London 2012 at the National Portrait Gallery, attending a production of Shakespeare's King Lear, and learning about the production of the Olympic medals at the British Museum. 2. VISIT DIAGON ALLEY LEADENHALL MARKET. If there is one place to walk in the footsteps of Romans, Olympians, and wizards, this is it. You may know it as Diagon Alley from the Harry Potter films, but Leadenhall Market has a much richer history than you might think. When we Go with Oh to Leadenhall we will be standing in the center of Roman London! 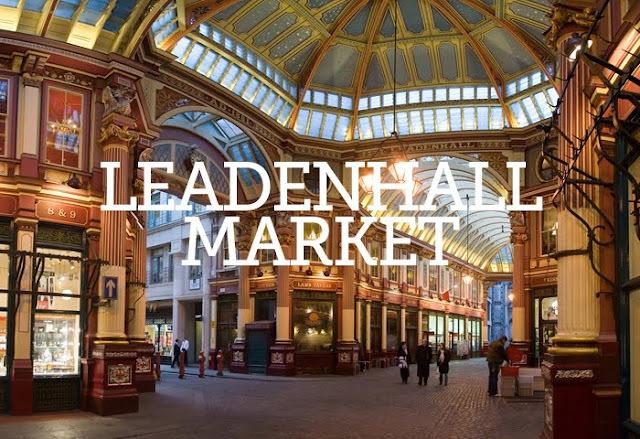 And history is still being made at Leadenhall: the Olympic marathon route will run right through its nineteenth century halls this summer. After we drop by Ollivander's to find our new wizard's wands we'll pick up some fresh produce and British stilton to take back to our Oh-London apartment (we love this one!) and prepare dinner with. 3. VISIT BRITISH GARDENS AND FARMS, CITY-STYLE. Since Go with Oh is all about cities, and you can't visit the UK without taking in a beautiful British garden or farm, we are going to do just that. City-style. The Rooftop Gardens in downtown London offer the perfect taste of British gardens in an urban setting, occupying 1.5 acres above the London city streets. They are filled with fully grown oaks and fruit trees, fish, flamingos, flora and fauna, all growing in just 1.5 meters of soil. 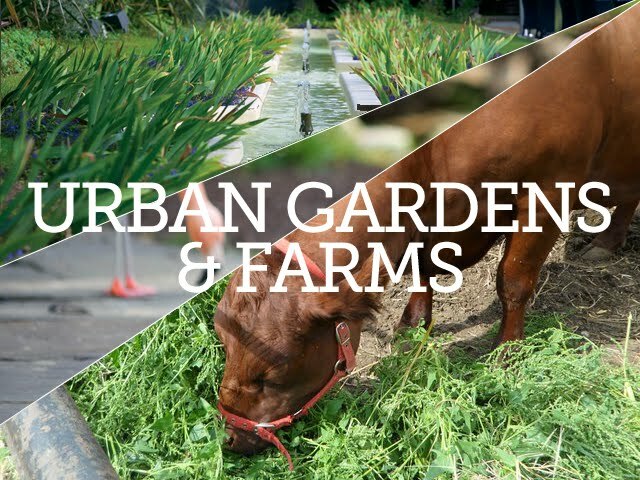 And after visiting this urban oasis we'll head over to the Surrey Docks Farm - a working farm in the heart of London! 4. GET WHITE KNUCKLES WHILE WHITE WATER RAFTING. Athletes all over the world share a dream of becoming an Olympian. 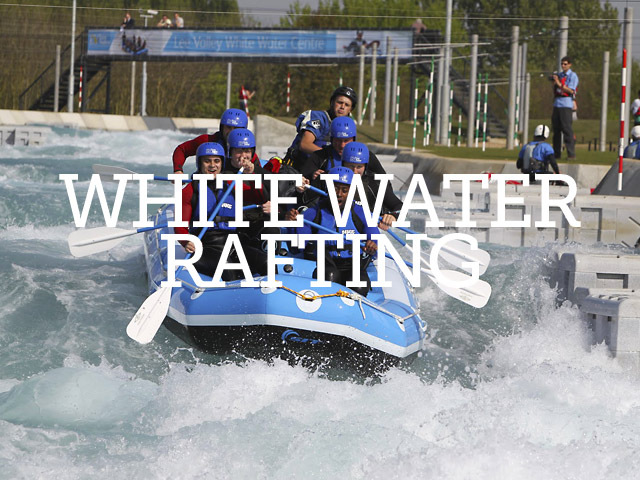 Less than an hour outside London at the Lee Valley White Water Center you can make that dream a reality, if only for a few hours. We will go white water rafting on the same course that Olympic kayakers will compete on during the London 2012 Olympics. With grade 4 rapids, you can expect some white knuckles on this white water course! It's the experience of a lifetime and we want you to come along for the ride. After we get dried off, we'll head over to the Olympic stadium for a photo shoot with our Oh car, and swing by Buckingham Palace on our way back into the city for an Oh car picture with the Queen! 5. GO MUDLARKING, À LA MUD MEN. 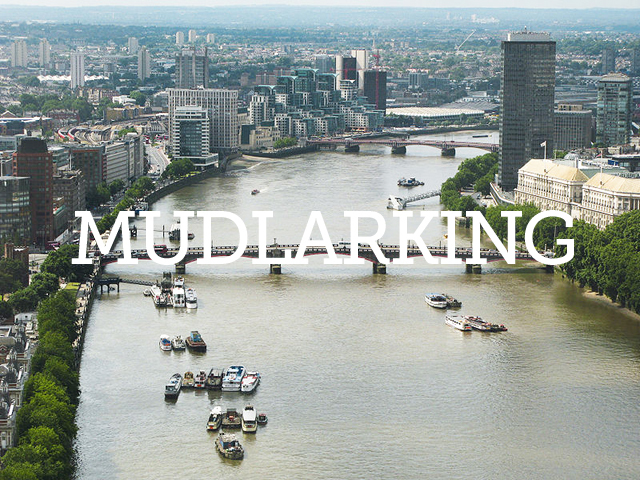 We will come face to face with London's history while mudlarking on the Thames - the urban equivalent of beach combing. Throughout London's history the Thames was treated as the city's biggest rubbish bin. And, luckily for mudlarkers, the anaerobic mud of the Thames contains no oxygen and preserves whatever it consumes. We will don some wellies and get our hands dirty, exploring the shore near the Millennium Bridge and St. Paul's Cathedral for centuries old artefacts. Where else in the world can you go treasure hunting in the middle of the city? Can you help us Go with Oh to London? Send a tweet or email (they're pre-loaded with messages - easy!) or create a Facebook post to let Go with Oh know we're the bloggers for them. Why is that? Not only do we have a great story to share, but Go with Oh wants to help you get the most out of what Europe has to offer. We live that motto everyday. When you Go with Oh, there's something for everyone. So you can also get in on the fun. This week, tweet your best Berlin travel tips to @GowithOh for a chance to win a $50 Amazon gift card. You can also enter to win one of four fantastic travel prizes - Samsonite luggage, an iPad, a Panasonic camera, or €500 worth of holiday accomodation - on their Facebook site. Amazing! psst...are you a pinner? We've also created the #GowithOh tag on Pinterest. Head on over to check out our #GowithOh board for great travel ideas, and tweet us if we've missed your favourite.